YUAY! You all know my interests! 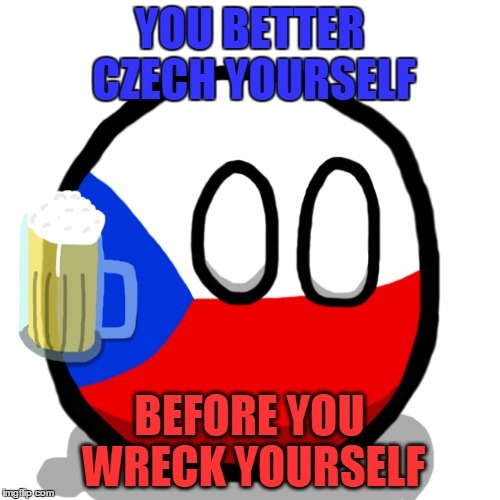 In the schools of Czech Republic, there is nothing worse than passing a bad Czech. Will you take a cheque? Lol I just noticed that! Yea, that's true. You make some good stuff! Lol I got the Image from anther site. It has plain pictures. I agree completely dude. People are just too oblivious to things they find interesting. Or some other crap like that ???? I met a Polish pole dancer once and she broke her back after pole-dancing on a lampost on a bridge then falling 40ft to the ground. 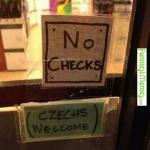 Oh I forget to check If the Czechs payed their checks or not. 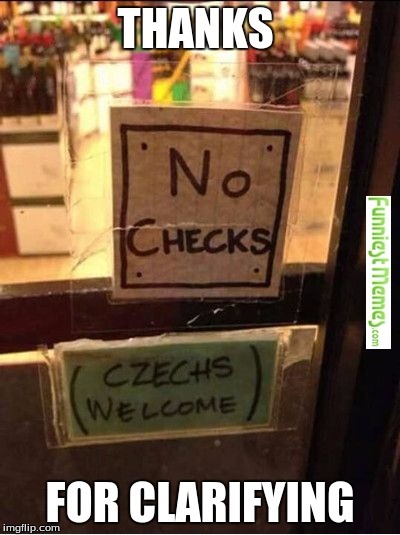 I better double-check on the Czechs check. Ever watched Czech Streets? I can't believe it's that easy to get beautiful women.